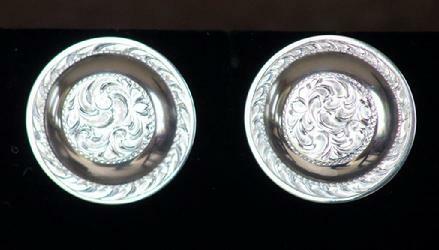 1" sterling domed earrings on posts $125. 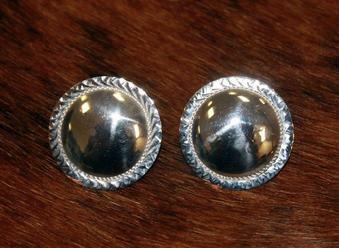 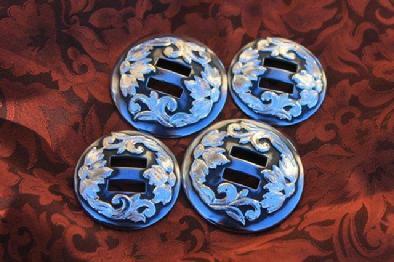 Set of six slotted conchos with sterling mountings - Two 1 3/4" & four 1 1/2" perfect for saddle, leggings or home decor $950. 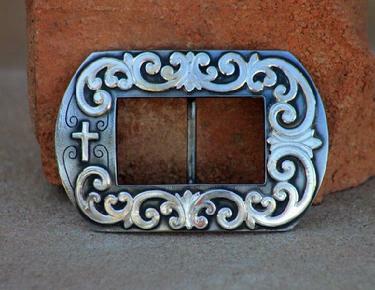 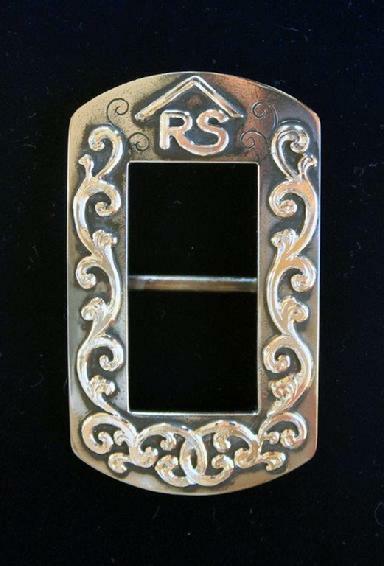 3/4" Mankato headstall buckles. 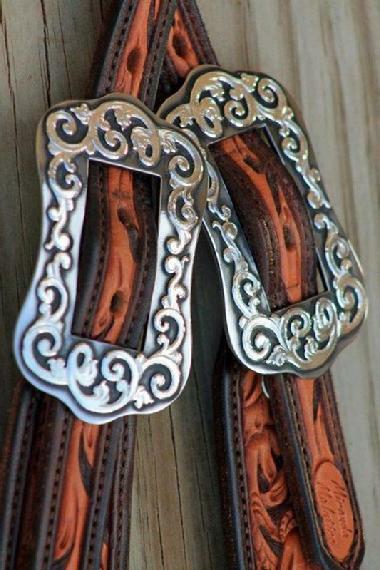 Buckles only $900; sliding ear headstall with wide cheeks complete $1100. 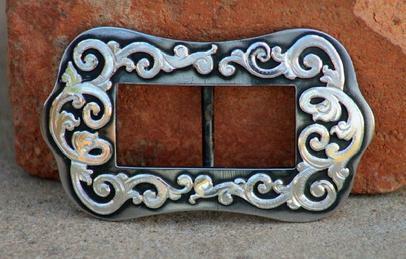 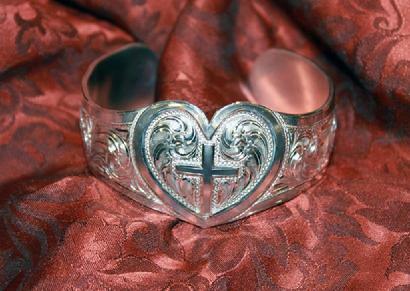 Sterling on polished steel.